Here we discuss gestational diabetes blood sugar levels as well as normal blood sugar levels. We also provide natural strategies for preventing blood sugar level fluctuations. First, a few things you need to know about gestational diabetes so that you can understand what gestational diabetes blood sugar levels mean. Gestational diabetes is diabetes that is found for the first time when a woman is pregnant. Diabetes means that your blood sugar levels are too high. You body uses glucose for energy, but too much glucose in your blood is harmful for both you and your baby while you are pregnant. Get Your Free Pregnancy E-Guide! There is also evidence that women that have gestational diabetes are at higher risk for developing pre-diabetes and type 2 diabetes later in life. This may be because pregnancy puts stress on your body and can bring out vulnerabilities. The changing hormones and weight gain you experience in pregnancy can make it hard for your body to keep up with its need for insulin. When this happens, your body doesn’t get the energy it needs from the foods you eat. Read Gestational Diabetes Diagnosis to find out more about the dangerous complications you want to avoid. If it turns out you have gestational diabetes blood sugar levels, you will need to regularly test your blood. What you may not realize is that you can go to your local pharmacy and purchase a blood glucose monitoring system without being diagnosed with gestational diabetes. There is no prescription required, although your insurance company will not reimburse you for the testing strips unless you have an official diagnosis. This is a smart idea if you have more than one of the risk factors for gestational diabetes because you need to make sure you maintain healthy blood sugar levels regardless of whether you are diagnosed with gestational diabetes. Why? If you can maintain healthy blood sugar levels naturally, it is a shame to be diagnosed with pregnancy diabetes since puts you into a “high-risk” category that limits your natural birthing choices. Testing your blood sugar levels will give you information you can use to make sure your blood sugar levels stay stable. Get a glucose monitoring system that has no coding required (it will say so on the box) and includes a lancing device as well as a few test strips. Follow the instructions to perform a blood sugar level test. Typically this means using the lancing device on the inside of one of your finger tips to get a drop of blood which you apply to the test strip that you have already inserted into your blood glucose monitor. Touch the test strip to the drop of blood where indicated and wait for the machine to display your test results. 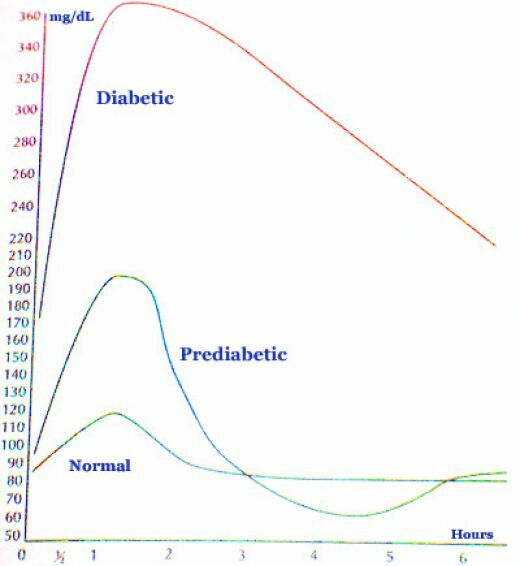 Blood sugar levels between the two scenarios above indicate grey areas that are less than optimal but may not mean you have diabetes. This chart may help clarify what healthy blood sugar levels look like. Why Should You Care About Gestational Diabetes Blood Sugar Levels? If you test positive for gestational diabetes, you will no longer be considered a “low-risk pregnancy”. This means that you will have to be seen by an obstetrician if you plan to deliver in a hospital. There are rules preventing hospital based midwives from serving women with “high-risk” pregnancies. Some birth centers will not take women who have been diagnosed with gestational diabetes. In short, if you plan to deliver naturally, without pain relief medications or interventions, your ability to do so will be drastically reduced. If you have already been diagnosed with gestational diabetes blood sugar levels, read women giving birth in a hospital hospital for more information about how to do so naturally. If you have more than two risk factors for gestational diabetes you may want to take steps to understand what your blood sugar levels currently are. Read Gestational Diabetes Diagnosis to find out more about the dangerous complications you want to avoid. You may want to take steps to prevent being diagnosed with gestational diabetes, especially if you know your blood sugar levels are within a normal range and but the testing parameters will likely identify you as having gestational diabetes. An example of this is knowing that eating a bowl of ice cream will raise your blood sugar level to 160 where it will remain for over 45 minutes so likely the Glucola test will result in a similarly high reading. At the same time you know thru careful testing that you never eat anything that will raise your blood sugar level above 140 ml/dL after a meal, that your normal blood sugar one hour after a meal measures 120 ml/dL and your blood sugar is below 100 mg/dL when you wake up in the morning. We are not suggesting that you avoid being diagnosed with gestational diabetes when you really have it. Uncontrolled blood sugar fluctuations can cause a host of problems for both you and your baby. What we are suggesting is that all pregnant women should take steps to ensure their blood sugar levels remain steady and avoid doing or eating things that make them spike. As a natural childbirth advocate, you already know that maintaining your blood sugar levels thru diet and lifestyle modifications is better than taking simply taking insulin. At natural parenting advice, half of us were considered at risk for gestational diabetes blood sugar levels and may have been diagnosed with gestational diabetes if we had followed the standard testing or didn’t follow a healthy pregnancy diet . Because we knew that our blood sugar levels were stable and we liked our birth center or midwife, we did not want to be erroneously diagnosed with gestational diabetes. We all used the information we received from testing and knowing our own blood sugar levels to ensure we did not test positive for pregnancy diabetes. Read Gestational Diabetes Diagnosis to find out more about the dangerous complications you want to avoid. To find out how to best manage your blood sugar levels while you are pregnant read Management of Gestational Diabetes . Read Gestational Diabetes Testing for more information about how Gestational Diabetes is diagnosed as well as problems with the current testing.